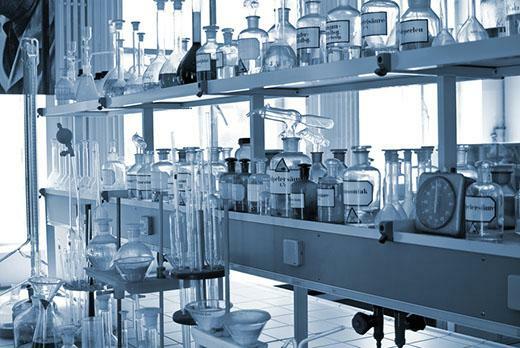 The lab survey provides guidance on training, personal protective equipment, chemical management, standard operating procedures, waste handling, safety equipment maintenance, signage, housekeeping and other general topics. Findings and suggestions are provided to the responsible parties and the responses are documented via an electronic dashboard. Lab surveys are scheduled by EH&S for each room meeting the definition of a lab in a building or complex (in the case of Health Sciences and UW Bothell). The survey team routinely visits over 4,000 lab rooms (about 1,000 research and teaching groups) on the Seattle, South Lake Union, Friday Harbor and Bothell campuses, as well as labs located in off-site or leased buildings (e.g., Roosevelt, Harborview, Queen Anne, SODO). The Chair, Director, or Head of a Department (Institute or Division) is notified by advance letter of the pending surveys in a building. The surveys are then scheduled with principal investigators (PIs), lab managers or other responsible party. Prior to the survey an email is sent to confirm the visit and to ask a number of general questions to learnsome of the specifics of the lab. The surveys take about an hour to complete, but may take longer if the space is large or complicated. The survey scheduling is organized to complete all of the labs for a department with a building or complex, and recur about every 15 months. The surveys follow a standardized checklist (provided in advance) which includes explanations and regulatory references for the requirement around the yes/no/NA questions. The survey team may ask for corrections based on findings during the survey that suggest a need for a change in lab practice. The team will also provide consultations and suggestions during the survey, intended to help the lab find practical and sustainable ways to make changes that support a strong safety program. Survey reports are typically provided within two days to the PI or other responsible party and the chemical hygiene officer. The electronic dashboard lists the questions that have a finding by the surveyor, provides a date field and comment field for lab responses, a field for EH&S acknowledgement of the lab information, and a safety rating based on 30 of the survey questions. If the lab has a rating above 85, the electronic dashboard can be used to generate an award certificate and an updated caution sign that includes the safety award emblem. Note: If a serious or imminent hazard is identified while performing a safety survey, EH&S would immediately escalate the matter to assure prompt resolution. The survey checklist has been developed to support each laboratory in building and maintaining a safety program that meets the expectations outlined in the Laboratory Safety Manual. The checklist has these sections: Administrative Plans/Materials; Signage; Hazard Communication; Lab Training; Personal Protective Equipment; Emergency Kits; Food/Beverage; Emergency Eyewash/Shower; Ventilation; Hazardous Waste and Disposal; Chemical Storage/Process; Compressed Gas Cylinders/Cryogen and LPG; Biological Safety; Pressure Vessel; Housekeeping; Electrical Safety; Radiation Safety; Fire Safet/Prevention; Exit Acess/Corridors; Seismic Safety; and Machinery. Each checklist question is a live link to more information about the question; generally, regulatory references will be provided, as well as the best practices needed to satisfy the question. This information is updated as needed, providing additional guidance or updated regulatory information. The questions may change periodically, as approximately every 18 months the checklist is reviewed and updated if needed. New questions may be posed and other questions retired or revised. The intention is to ask the best questions that support the program and fit the time frame of the survey. There are thirty of the checklist questions used to calculate the lab safety rating; these questions are considered core and will not likely change. In addition to the checklist questions, specific hazard information is gathered about the laboratories using check boxes. This information is intended to help understand risks that may be associated with the lab activities, in addition to the chemical inventory information provided from MyChem. Lab Survey Checklist Explanations and Codes Reference. The responsible parties and the chemical hygiene officers (CHO) or any delegates may access the lab survey dashboard to review and respond to the current survey findings and comments. After it is published, a survey report is available for 30 days to receive information; after that time the survey becomes part of the history, which are the closed surveys available for review that cannot be edited. The dashboard provides a PDF copy of the survey, the survey ID, the name of the responsible party, the survey date, the date the dashboard will close, the number of findings, the number of responses, and the EH&S acknowledgement of the response. There is also comment space for the surveyor and for the lab parties. The dashboard also shows the rating calculated from the survey results. The UW target, the UW average, the average for the College or School where the lab belongs, and the average rating of the home department are given as reference. If the lab receives a rating at 85 or above, this message is given: Based upon your recent laboratory survey findings, you are meeting the University expectations for safety. Congratulations! You have been issued an award certificate. A link to print the PI Award Certificate is provided. If the lab receives a rating between 85 and 75, this message is given: Based upon your recent laboratory survey findings, you are nearing University expectations. If the lab receives a rating below 75, this message is given: Based upon your recent laboratory survey findings, opportunity for improvement is evident. Please work with EH&S to improve safety in your laboratory. EH&S has selected 30 questions from the Lab Safety Checklist which focus on chemical safety, training and personal protective equipment to establish a lab safety performance rating. These questions are common to institutions performing laboratory safety programs and have been vetted by the advisory task force as questions that would be well received and accepted by the research community and as areas with opportunity for improvement.Survey score calculations are based on a survey's answers to 30 target questions (listed below) derived from the checklist. These target questions address the most pressing issues related to lab safety. When a lab rating is 85% or greater, the dashboard will say: based upon your recent laboratory survey findings, you are meeting the University expectations for safety. Congratulations! You have been issued an Award Certificate. Classroom and online lab safety training is available. May I request a lab safety survey? Generally not, as EH&S performs lab surveys on a schedule and annually evaluates all research and teaching labs. However, PIs are encouraged to notify EH&S when setting up a new lab or moving to a new location so they can be added to the survey scheduled for their building. Consultation can be provided at that time if requested. Keep in mind that a lab can conduct a self-inspection at any time.